In case you haven’t noticed, we’ve been releasing episodes while the site was down. We even managed to make it all the way to the final episode, yay! Not to spoil anything, but this looks like one of those series that didn’t get enough money, ratings, story ideas or whatever for it to go for multiple seasons, so we hope you enjoy what’s available here. 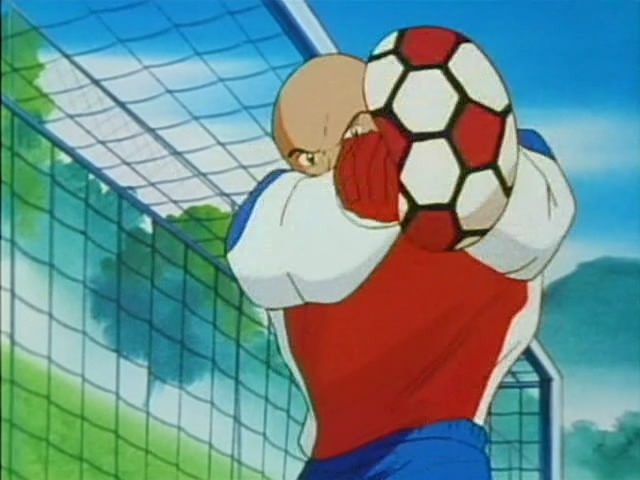 Oh, and this episode is about a goalie who was born with a ball glued to his hands. Poor guy. 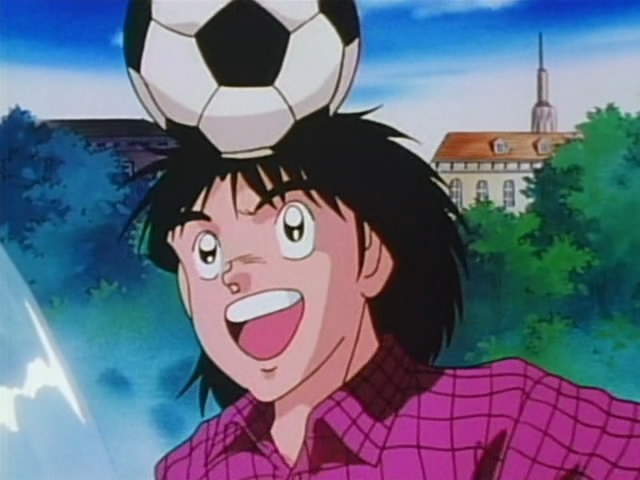 You didn’t believe the next release would contain not only one, but two Captain Tsubasa J episode, did you? Well, it does! 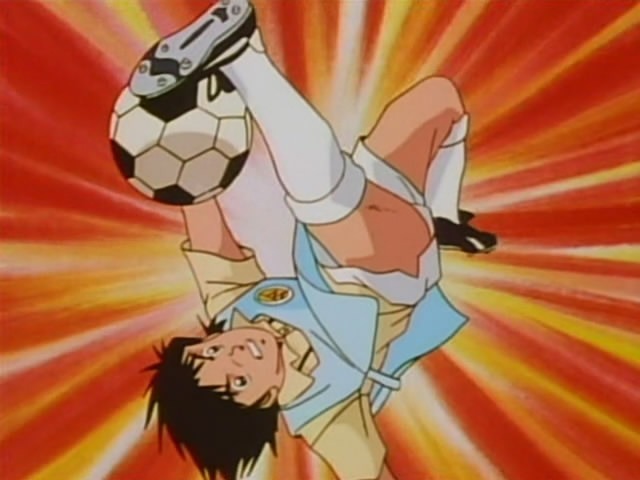 As for the content of the episodes, episode 37 is my favorite episode so far: Aoi Shingo gets to shine in a game 😀 38’s pretty awesome too as it has the cyborg Santa v.s Tsubasa. Honestly, I much prefer this CT series over 2k2, and I really like our subbing speed too 😀 This speed is possible due to the fact that kokujin-kun both translates and edit, KmE or I time, then Juggen, I or KmE “time in” the signs. And we cut down on the QC process too by having only Kaiser and me QC’ing, plus koku doing the final check. So yeah, this subbing process has not much to do with CT2K2 where we have different translators and editors… people with less time on their hands… so don’t be surprised if CTJ gets finished way faster than 2K2. 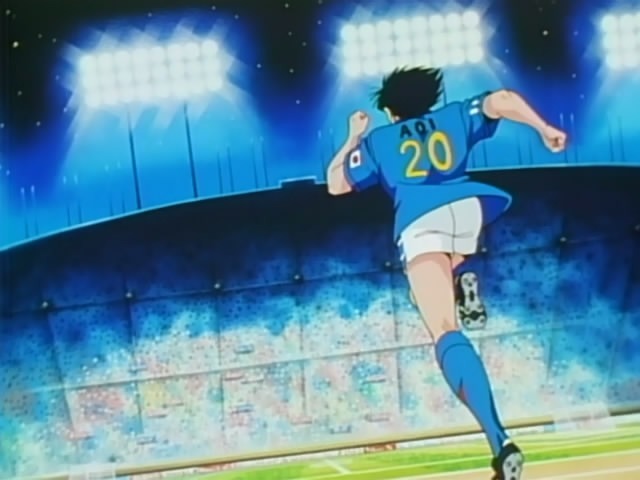 Okay, so here’s more Tsubasa for you, and this time Aoi Shingo shows how brilliant he is! So go download, and enjoy every bit of his awesomeness, but be sure not to enjoy him too much! 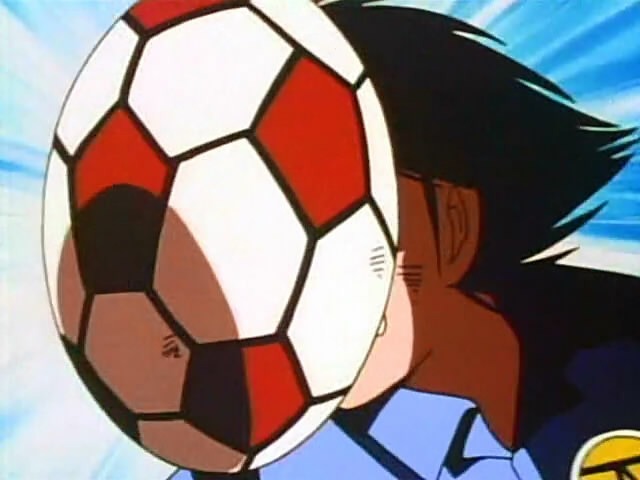 More baaaaallsss! About time to come out (of the closet) with some fresh balls episodes. Episode 1-33 aren’t worth doing, since they’re just recaps of episodes already covered by CT2002 and the orginal series, and ep34 is just a summary of those episodes. So we’re starting with episode 35, bringing you new material only.